The City of Richardson is implementing a strategy for redevelopment and revitalization of Main Street and the Central Expressway Corridor — Richardson’s original downtown and the major access route to the community, its business areas and neighborhoods. Hear the latest updates at the Heights Park Neighborhood Association meeting on Saturday, Feb. 3. Join your neighbors at the first Heights Park Neighborhood Association meeting of the year from 1 to 2:30 p.m., Saturday, Feb. 3, at the Heights Recreation Center. The guest speaker will be a representative from the City of Richardson city manager’s office. Learn about the exciting changes in the city, such as downtown development (see rendering above) that includes multifamily residences, retail, the new facility for the police and fire departments, and other juicy details. Hear it straight from the city’s mouth and have the chance to ask questions. Also, HPNA members will elect new board members at the meeting. 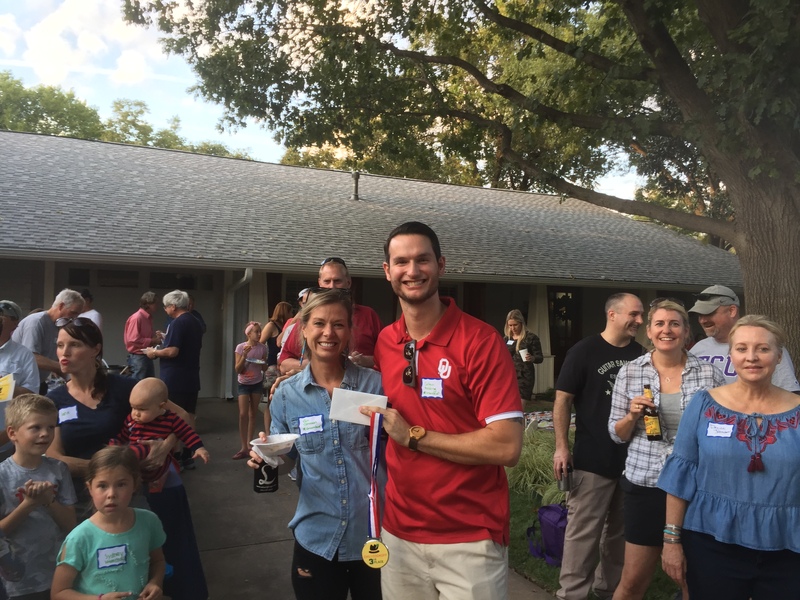 Your annual membership dues make events like Oktoberfest possible. Thank you for your contribution! Members who choose to pay an additional $40 for the flag program when they renew their membership will have flags placed in front of their homes on five major holidays — Presidents Day, Memorial Day, Independence Day, Labor Day and Sept. 11, and Veterans Day. The program is operated by Richardson Rotary with the support of local Girl Scouts and Boy Scouts who share in the revenue. Proceeds benefit a scholarship program for RISD high school students. Being a member of the Heights Park Neighborhood Association has its benefits. Your annual contribution of $20 (or $60 to participate in the optional flag program) makes your neighborhood a better place to live. If you want flag service, definitely submit your payment by Friday, Feb. 9, so that your house will have a flag on Presidents Day, Feb. 19. Informative, up-to-date professionally designed website. Professionally designed newsletter distributed to all residents twice a year. Email updates of important events/newsworthy items affecting our neighborhood. Fun annual events: Oktoberfest, Holiday Sing and Stroll and The Heights of Summer. Volunteer Citizen Patrollers to keep our crime stats down. Crime Watch Program through Richardson Police Department. Yard of the Month program. Flag Lease Program for members. Participation in City of Richardson Neighborhood Vitality Program and other neighborhood enhancement programs. Conduit to City Hall and Chamber of Commerce on issues directly effecting our neighborhood. Partnerships with other neighborhood associations. 2. Or you can pay with Paypal. Editor’s Note: The following message from the City of Richardson is about a mass mailing that you may receive about water/sewer insurance. We were notified last month that a company called American Water Resources of Texas planned to do a mass mailing in Richardson to sell insurance for residential water and sewer lines. This company is known for “partnering” with other cities to sell its services and provide revenue back to those cities; however, we wanted to pass the word along that the City of Richardson is NOT associated with this, or any other related, service provider. The company’s financial viability and longevity to ensure it is able to disburse payments for claims. Please know the City of Richardson does not solicit services provided by third parties, and no City employee would ever go to your door to ask for in-person payments or personal financial information.